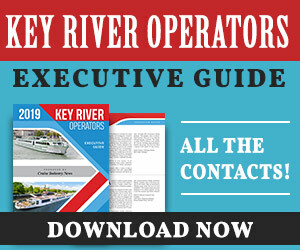 Eight senior level executives representing the cruise industry and ranging from major operators to small expedition lines highlighted the Tuesday morning breakfast panel discussion at the Marine Hotel Association (MHA) conference and trade show in Naples, Florida. Bruce Tschampel, vice president of hotel operations at Lindblad Expeditions, hosted the hour-long panel which focused on culinary differentiation between brands, new innovations, current and future trends, as well as supply chain issues. “It’s pretty simple. Good food starts with good food,” said Frank Weber, Sr., vice president of hotel operations at Virgin Voyages. Weber said he needed the right products at the right quality on time, meaning reliance on vendors as well as supply chain logistics. “What makes us unique is we can change our menu on short notice, and our residents appreciate that,” noted Marco Kazmierczak, director of supply chain at The World. “It’s not only asking about for the product – it’s about when, where, if and how,” said Graeme Cockburn, corporate chef at Windstar Cruises. Enrique Villardefrancos, corporate executive chef at MSC Cruises USA, pointed to group cruises with Weight Watchers the company does that requires a new main dining room menu for breakfast, lunch and dinner, while the ship also keeps the traditional its menu – meaning doubling planning and efforts in the galley. Among her challenges is finding a supplier of lionfish. 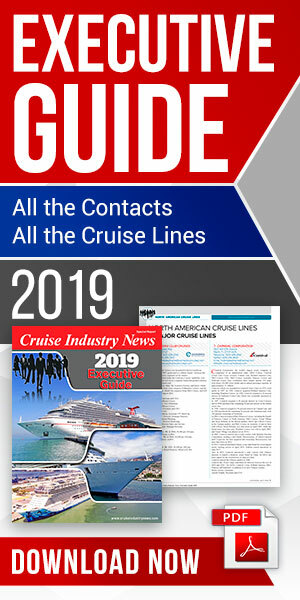 Look for a full report in the 2019 Cruise Industry News Quarterly Magazine Summer edition, due out in July.